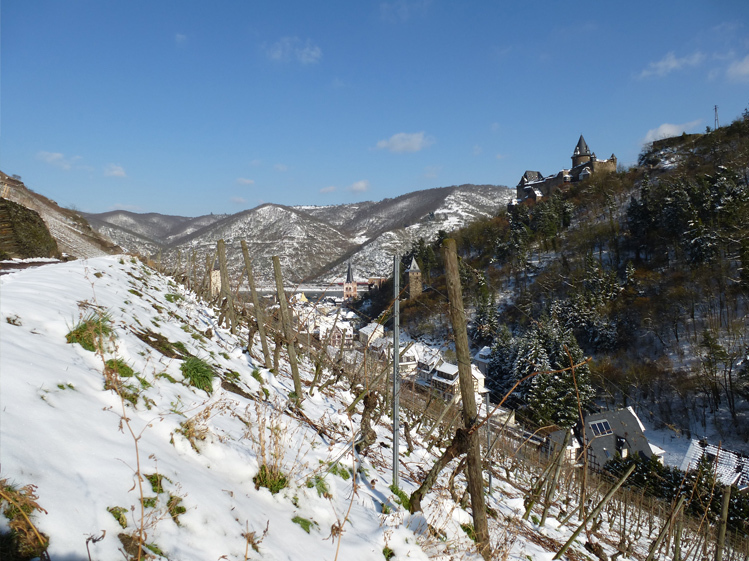 Setting up an estate without vineyards of your own means you have to look beyond the confines of Bacharach, so with the help of our friends Gerhard Link and Ursula Schütz we also cultivate areas in Oelsberg (Oberwesel) and Beulsberg (Urbar). In Bacharach and Oberdiebach we are supported by Beate Lieber and Fritz Stüber and by Ursula and Horst Maurer. The shingly heat-storing soils of soft argillaceous slate undoubtedly provide the optimum basis for cultivating the Riesling variety of grape which we prefer. Riesling is one of the few grape varieties capable of top performance in all the quality and taste categories. Nowhere else in the world are differences in vintage and sites so clearly recognizable. 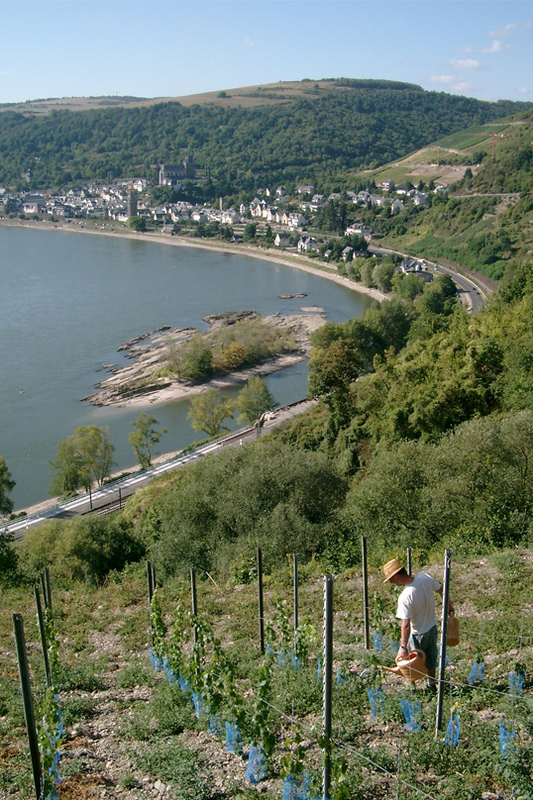 This is why we aim to offer you the typical Riesling from the Middle Rhine region, in all its inimitable diversity. To achieve the highest quality possible, we aim for a yield of 50 – 60 hl / ha. 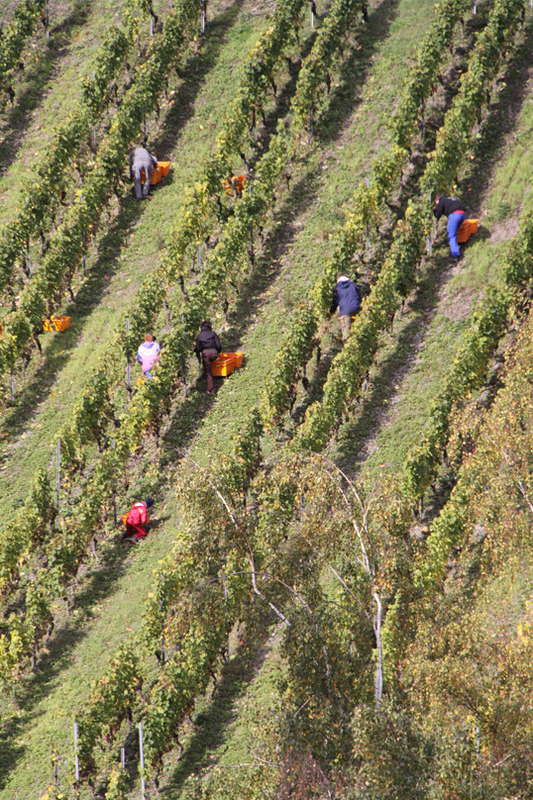 95% of our vineyards are devoted to Riesling. 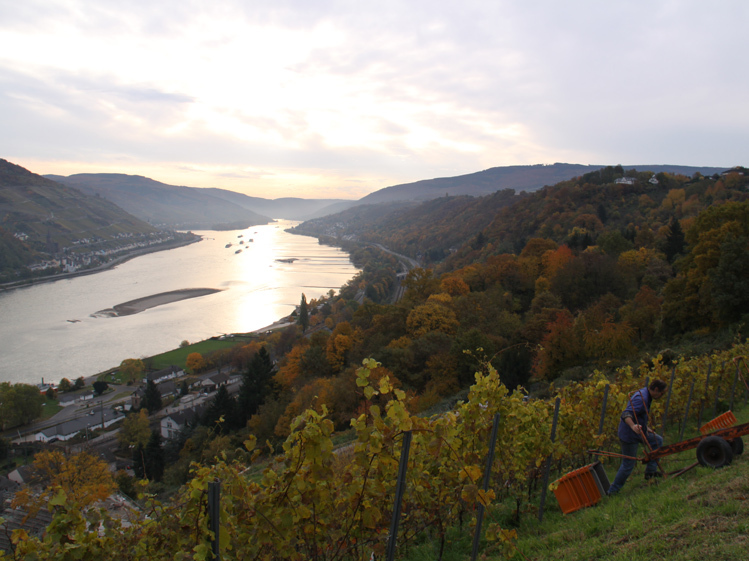 A Rhine terrace characterised by loamy sediments is also an optimum location for the Spätburgunder (Pinot Noir). 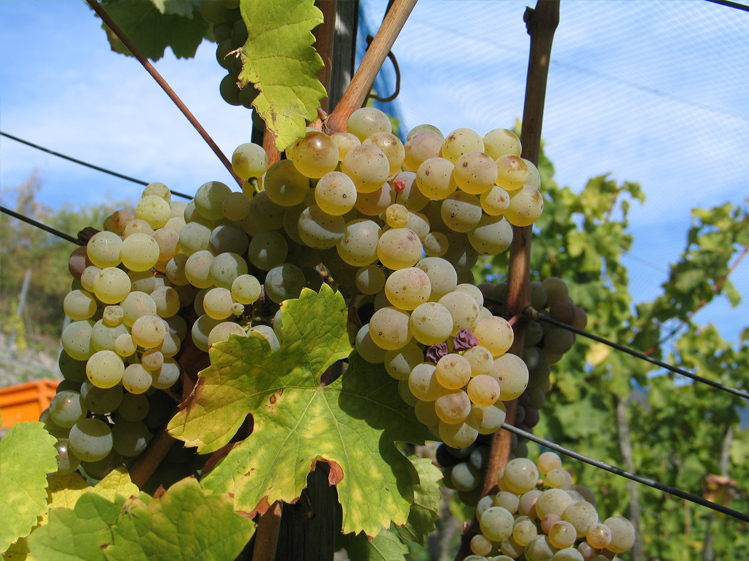 We use this grape primarily for Weißherbst wine (TORNADO) and sparkling wine. Some years, we also produce a red wine. 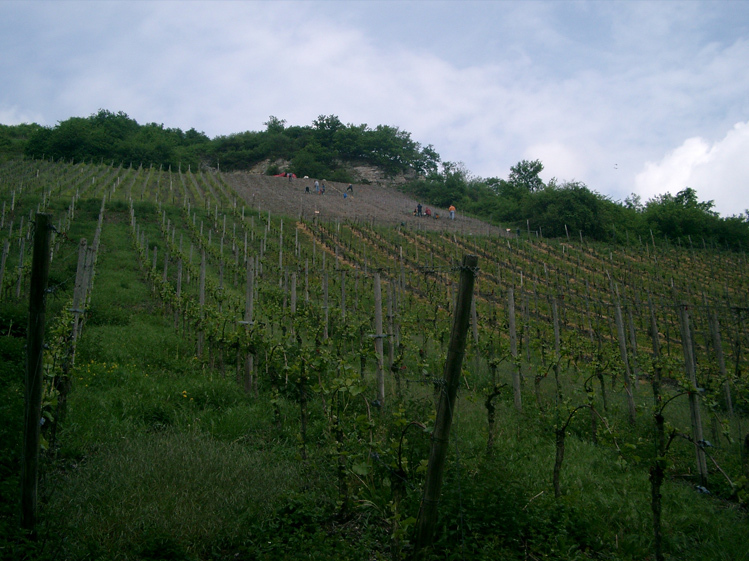 The Spätburgunder yield for red wine is restricted to 40 – 45 hl/ha. From Bacharach, the Münzbach valley (Blüchertal) runs west in the direction of the Hunsrück. Here both the steepness of the valley and erosion have resulted in a very limited amount of fine soil and a very high proportion of slate stones. Which is why the Rieslings that grow here reflect the finesse and minerality of slate particularly well. The Bacharach Wolfshöhe site begins just behind the Holzmarktturm in Bacharach. 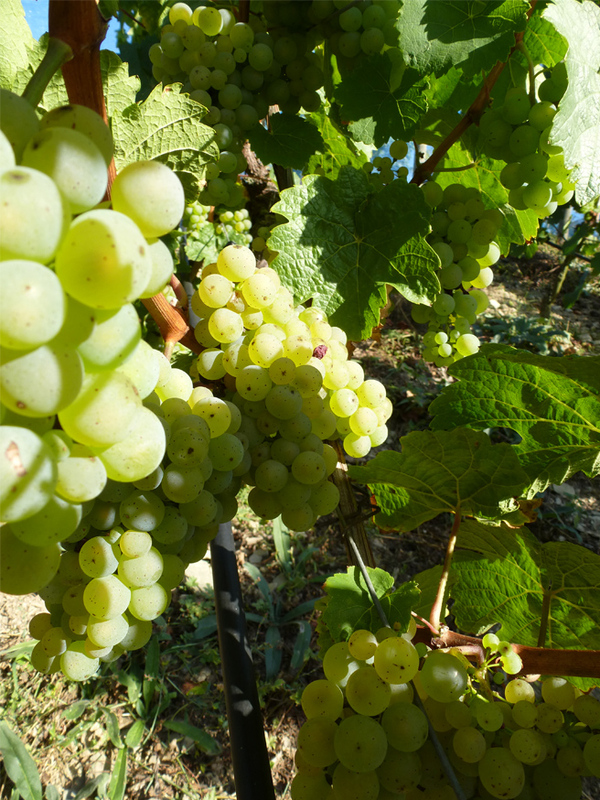 A small part of the lower section yields fine aromatic Riesling grapes with a tart acidity and moderate alcohol content. The wines from the Wolfshöhe need 1-2 years to develop their full potential and become really excellent to drink. 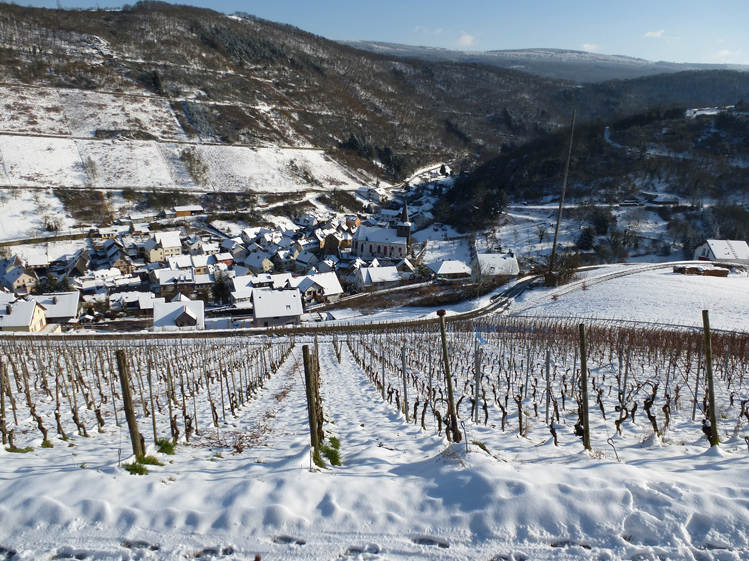 South of Burg Stahleck and stretching as far as the Diebach valley are the vineyards that make up the site called Kloster Fürstental. 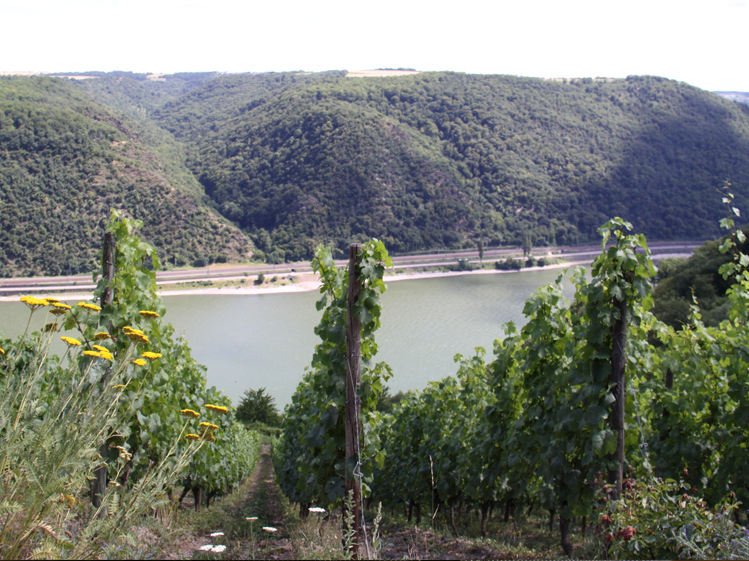 This site includes the small Bombachtal valley and the narrow Winzbachtal valley – here there was a Wilhelmite Monastery at the estuary in the Middle Ages – plus the vineyards on the Schlossberg around Burg Stahleck. 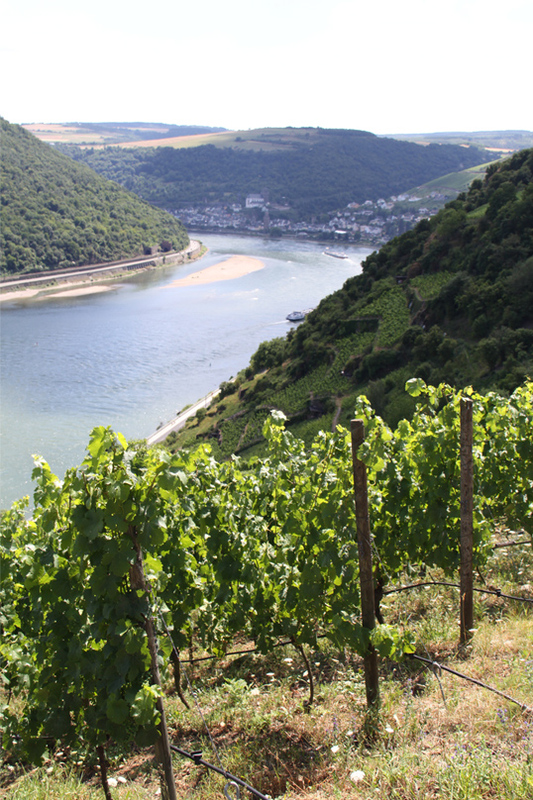 Most of our Bacharach vineyards are included in this site. 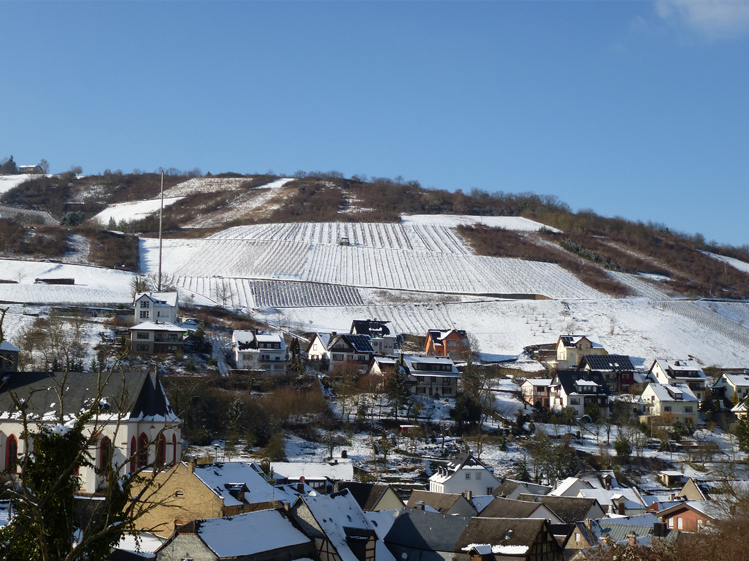 The vineyards face south in the two small valleys, and east at Burg Stahleck. 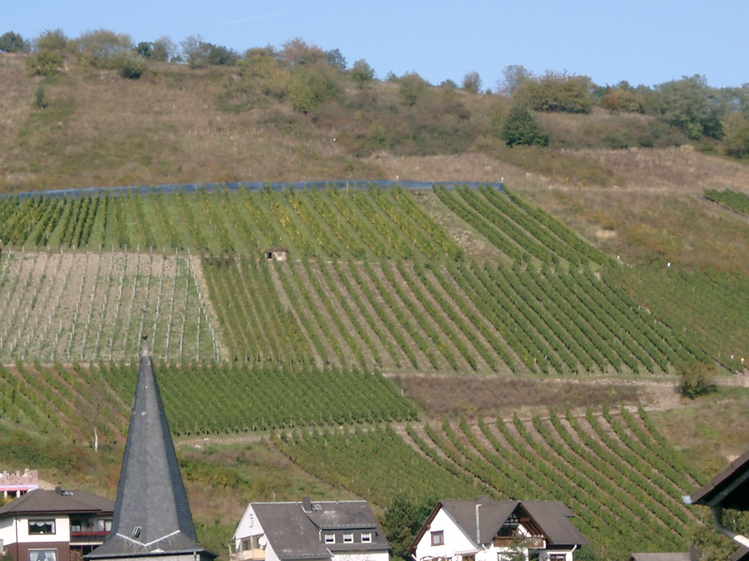 The typical features of the Rieslings from Bacharach Kloster Fürstental resemble those of the Wolfshöhle, whereby the somewhat higher percentage of fine soil makes the Riesling seem smoother and softer. According as the Rhine flows north-west, it swerves away twice from the slate mountains in an easterly direction – at Boppard and Oberwesel. 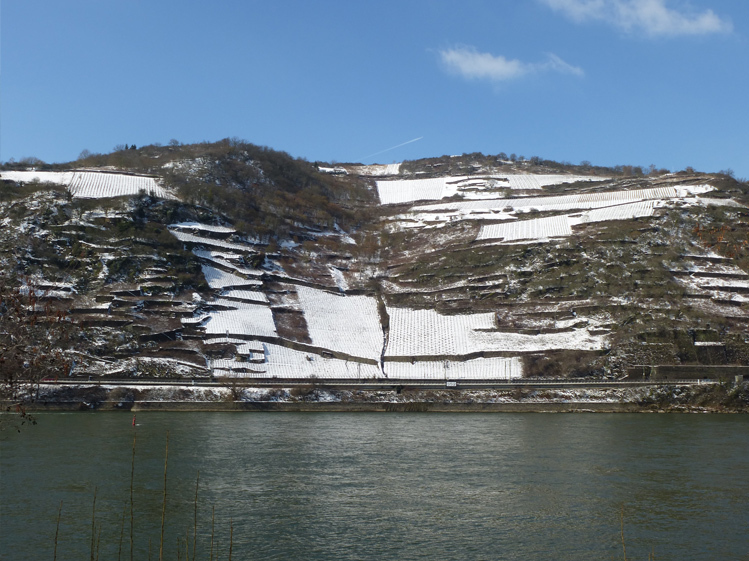 That is why, geographically speaking, Oelsberg in Oberwesel is an undercut bank directly on the Rhine, while most of the other sites south of Oberwesel are to be found in tributary valleys. The name Oelsberg most probably goes back to the checker tree (German: Elsbeerbaum), a warmth-loving species indigenous to Oelsberg. 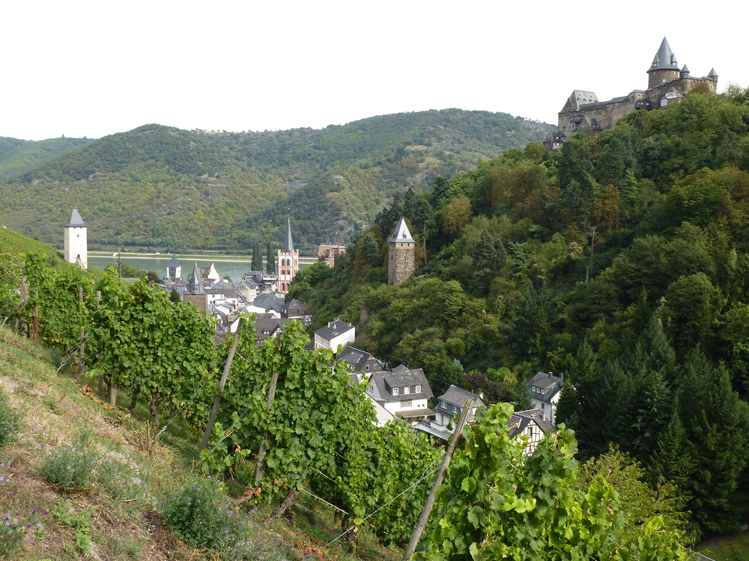 Driving from Bacharach to Oberwesel, for a stretch of almost 6 kilometres you head directly towards the Oelsberg. The small Meerbach valley divides the Oelsberg into a south-westerly and a north-easterly section. Our lots are in the north-easterly section, are absolutely south-facing and, in viticultural terms, are among the best partial areas in this marvellous site. The older part (planted 1970) is characterised by a sturdy soil covering containing loess and loam in the slate. 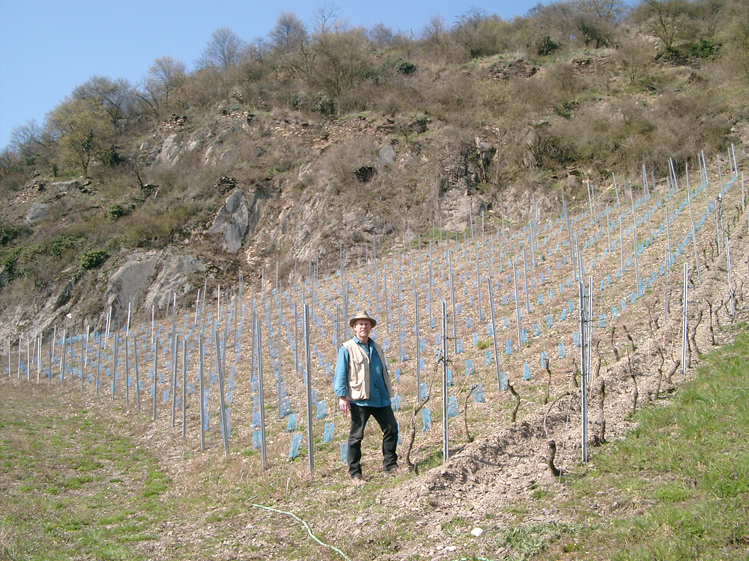 The young Oelsberg (planted 2007) is on a rock edge with only limited soil covering. The drip irrigation system we installed there enables us to use a moderate supply of water to alleviate dry weather phases. The Rieslings from Oelsberg mostly have somewhat less acidity. Their elegant style makes them suitable for early drinking, and they are a great introduction for newcomers to the world of Riesling. Their cellaring potential is still considerable and in no way inferior to that of the wines from Bacharach. Rheindiebach/Oberdiebach is located three kilometres to the south of Bacharach. The Diebach valley runs almost parallel to Bacharach’s Münzbach valley, in the direction of the Hunsrück. 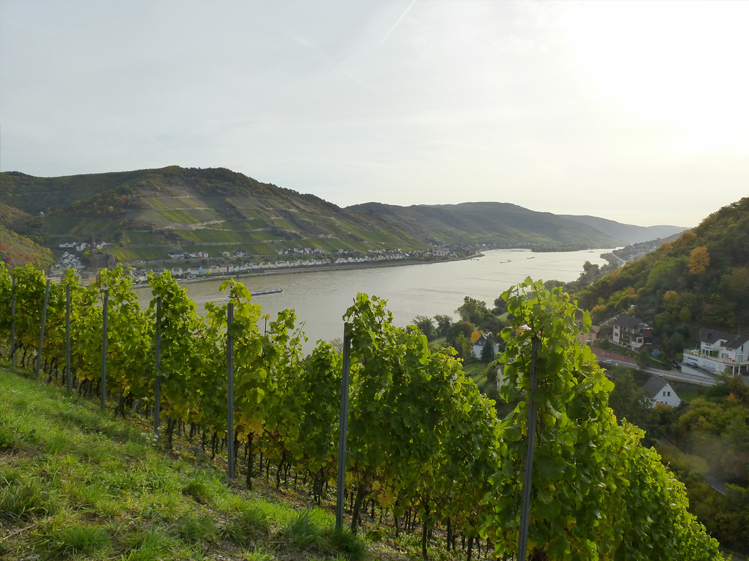 Our plots in the Fürstenberg site, called after the Fürstenberg castle, are located one kilometre into the valley, where the Diebach flows into the Rhine. The constitution of the soil in this part of the valley is very good in many places, with higher loam content in the slate and good water capacity. The somewhat cooler climate of the middle, open section of the valley favours healthy grapes and usually results in a tingling acidity. Together with their fine residual sweetness, this means wines that are especially exhilarating and eminently storable. 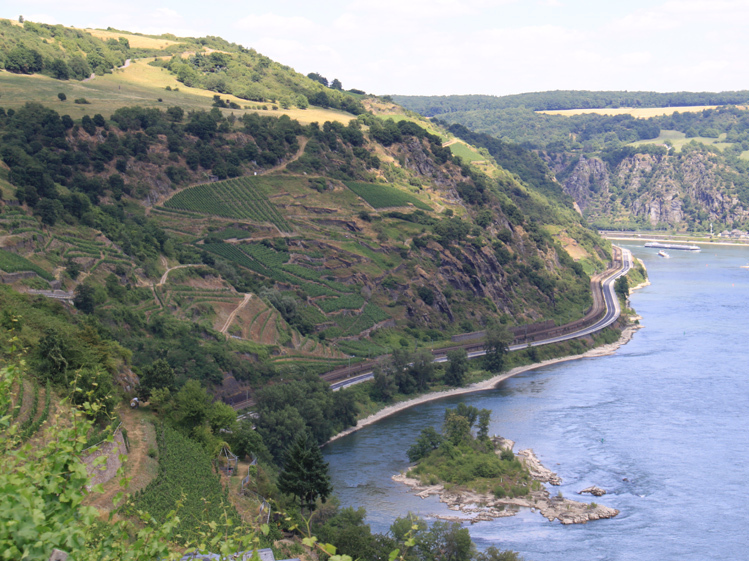 Opposite, and at an angle to the Loreley cliff are the Beulsberg vineyards, located on a middle Rhine terrace. The site is not considered to be one of the top sites on the Middle Rhine, but it is always good for a surprise. 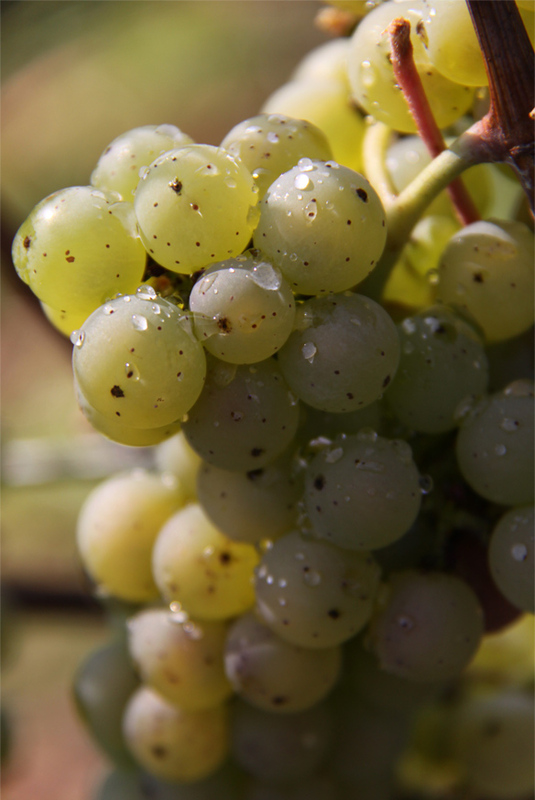 The Riesling grapes from Urbar are usually to be found in our “Guts-Riesling” or also in our Riesling sparkling wine. 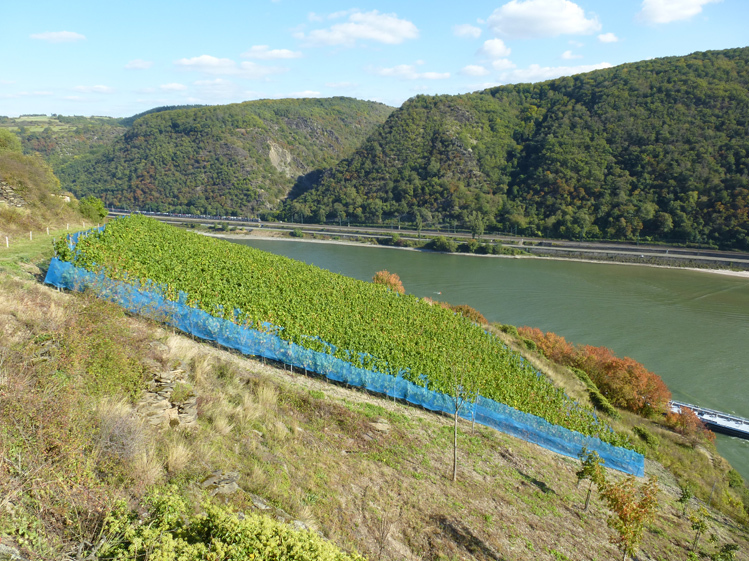 On the steep Oelsberg (along the Rhine Castle Trail) in the direction of Oberwesel we have another very special vineyard, which we call the “Weinhelle”, in keeping with its old site name. 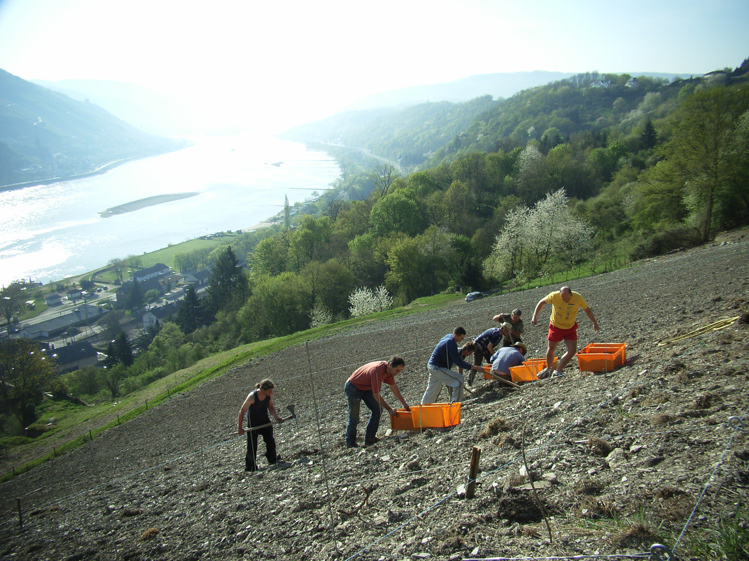 The Spätburgunder vines grow here in loam sedimentation with little stone, where they feel very much at home and can draw on unlimited resources. The berries of this Spätburgunder almost always guarantee a very good crop of grapes perfectly suited to making fruity rosé or Weißherbst wines and sparkling wines. Traditionally our Weißherbst (TORNADO) is dry and our sparkling wine brut.